What’s a better testimony than numbers? That the Tri Valley Area is undergoing a demographic transformation can be generally seen, but is clearly depicted in this Racial Dot Map produced by the Weldon Cooper Center for Public Service based on 2010 Census data. The RED dots represent Asian Population, and its easy to see how the area looked like almost four years back. If anything, the density of the red may only be increasing in this area; in fact rather drastically over last couple of years. Granted the red dots represent the Asian population as a whole, not people from Indian sub-continent as such. But going by what one may be observing see on the streets, stores and schools, and anecdotal data, it may not be an over statement to say that the desi Indian population is almost exploding at least in some specific areas. The Dot Map below from Cooper Center has been over laid with specific local areas/streets to help easily identify the areas under focus. The Map provides a good picture of which Tri Valley Areas are popular with the Asians or Indians. What really comes as no surprise is the Windermere, Gale Ranch, Camino Tassajara area of San Ramon, along Bollinger Canyon Road. Its known to be thickly populated with Indians and Chinese. On some streets and roads you will only find Indian households door to door, one after the other. Some people says its much of a South Indian microcosm. The schools of the area present the same picture – and have excellent scores. Next in San Ramon are some older areas in west San Ramon along Alcosta and Marketplace. Particularly apartments there are high density Indians. Coming down south, the Pine Valley area has some desi population, and further south, the area between Alcosta and Village Parkway in Dublin is again heavily dotted with red. East Dublin is the other major desi area. 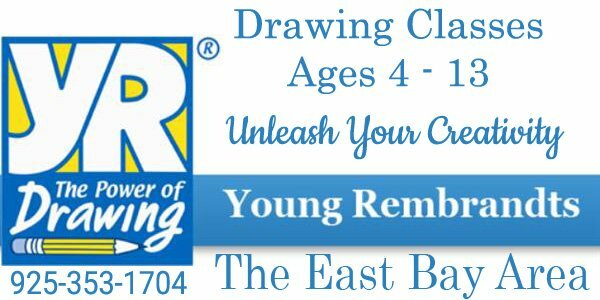 Especially the last couple of years has seen a major influx of desis moving from all over the Bay Area into the Dublin Ranch neighborhood, including Positano and other new construction going on in the area at fast pace that supposedly provides some of the best value in the entire Bay Area. The prime area surrounding popular Emerald Glen park is pretty multi racial, but still reasonably desi as well. Especially towards the north of it. Dublin Boulevard from Hacienda to Village Parkway provides the best desi shopping experience with multiple stores and the Regal Cinema at Hacienda is always on with the latest Hindi release from Bollywood. The schools in the area are getting better every year – that is a no brainer. The Brigadoon area on the far west has a few desis living as well, and so do the apartments along the Dougherty Road. The apartment/condo living next to Bart in Dublin again has a good concentration of desi folks. Pleasanton is where this Dot Map helps to give a more definitive picture than is generally known. The area between Owens Drive, Avalon Apartments and Stoneridge is heavily red. This has probably even gone higher in last year – especially with the apartments in the area. As Stoneridge meanders to the east, the homes around it are again pretty Asian, going up drastically around the south western end of Stoneridge. While West Pleasanton over all has a sprinkling of Indian population, the central business district goes quite opposite, and then again increases along 680, and showing high around the apartments south of Stoneridge Mall. Asians are generally sprinkled over all of Tri Valley area, and Livermore shows the same pattern. The Indian population shows a little higher numbers around the Livermore Temple, kind of expected. 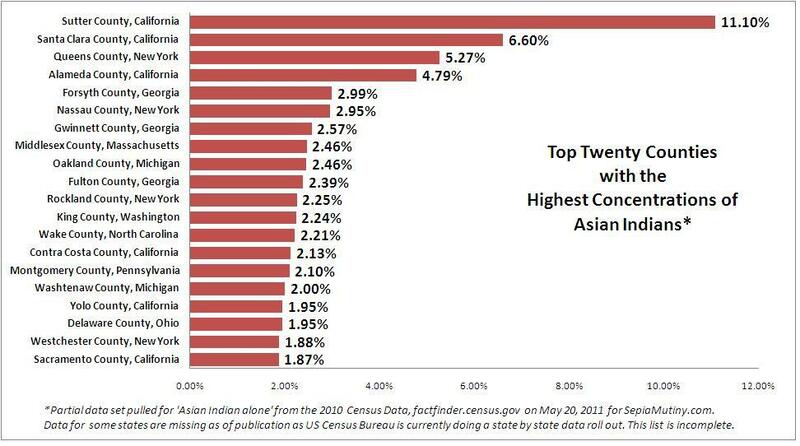 Check for the actual numbers from the 2010 Census for Asian Indians in Tri Valley Area with Percentage. If you are aware of specific areas that are significantly growing in Indian Desi population, please feel free to comment below. According to 2010 Demographic Profile Data, 11.3% of San Ramon, 7.4 of Pleasanton, and 6.8% of Dublin population is now of Asian Indian Origin. In San Ramon, where public schools are excellent and quite some new housing has been built in the last decade, Indians skyrocketed from 1,463 in 2000 to 8,179 in 2010, a jump of 459%. City of Pleasanton, with good housing and schools, shot up 175.29% from 1,894 Indians in 2000 to 5,214 in 2010. Dublin, a smaller city really came up from behind, with only 672 (2.2%) of its residents from India in 2000, to a new number of 3,116, an increase of 363%. This is attributable again to good schools, new upcoming housing, and better connectivity. The numbers reflect the demographic patters of some other dynamic parts of California economy. 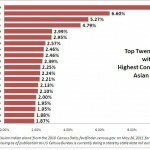 Indian Americans now constitute 22.6% of the population in Cupertino, 18.08% in Fremont, 15.52% in Sunnyvale, 13.64% in Santa Clara and 11.46% in Union City. By numbers, the state of California, San Jose remains first with 43,827 Indians, followed by 38,711 in Fremont and 32,996 in Los Angeles. 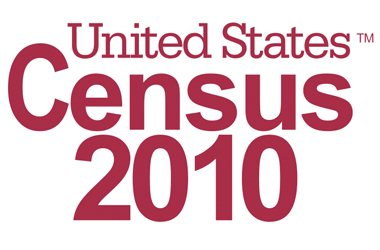 Aaccording to Census 2010 data released by the U.S. Census Bureau, the Indian American population in California rose from 360,392 residents in 2000 to 528,176 in 2010, an increase of 46.4%. In Counties, Alameda (from 47,194 to 72,169) and Contra Costa (from 13,376 to 18,255). The City of Pleasanton has a total foreign born population of 13,665 (20.6%), out of which 2,862 are from India. i.e – 4.31% of population of Pleasanton is of Indian origin. Indians are the top Immigrant group in Pleasanton. i.e – 2.10% of population of Dublin is of Indian origin. Indians are the 5th largest immigrant group in the city. i.e. – 5.35% of population of San Ramon is of Indian origin. Indians are just behind Chinese as the top immigrant group. By comparison, about 16% of population of Fremont is of Asian Indian origin. These numbers may look on the lower side, but well this is the statistic as of now. More current and detailed numbers are expected to be released by end of this year.